Today marks precisely one year since I’ve pressed the Publish button on my very first post on The Loopy Whisk. It feels like 5 minutes… and 10 years have passed since then. Time’s a funny thing. I am now a 2nd year PhD student, still making a mess in the lab and an even greater mess in the kitchen. I have tried my hand at more new, exciting recipes than ever before, and I’ve loved every minute of it. 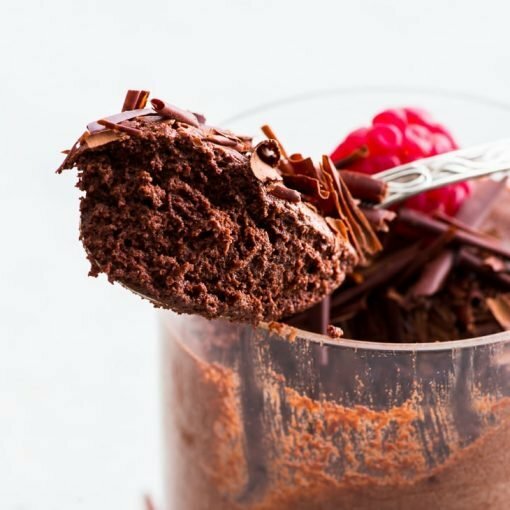 There have been many recipes that made me go WHOATHISISAMAZING, and many that went straight into the trash. I’ve bounced round the kitchen like an over-excited puppy, and I’ve had my share of mini meltdowns when something just wouldn’t work. My photography has improved, although I still have a way to go. Every time somebody says they’ve tried my recipe and loved it, I do a victory dance in my head. There are trumpets and confetti, too. I think one year is enough to say that, yes, this isn’t just some passing fancy, an occasional hobby. It’s enough to say that, yes: I am a food blogger. It still feels weird to call myself that. Perhaps it will feel more natural next year. 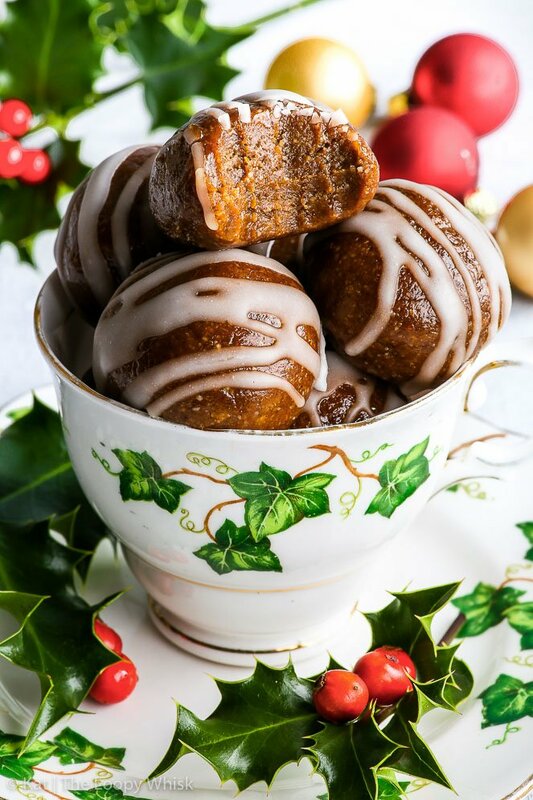 But today we’ll skip the chocolate and the salted caramel for a change, and focus on that quintessentially Christmassy flavour of… gingerbread. Who doesn’t love gingerbread cookies? They’re aromatic, spicy and have the most incredible texture, somewhere between chewy and crispy, dense and airy. Around Christmas time (and before… and after), the only thing better than gingerbread cookies is – gingerbread cookie dough. I’m sure we’ve all found ourselves, once or twice (or a hundred times… but who’s counting), sneaking bites of the raw cookie dough, heavy with sticky molasses and fragrant spices. 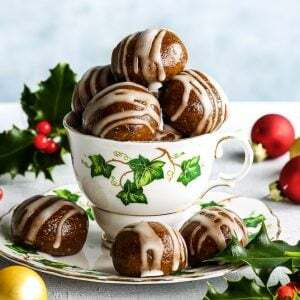 This recipe is a healthified version of that guilty pleasure, in the form of vegan and paleo no-bake gingerbread cookie dough bites. 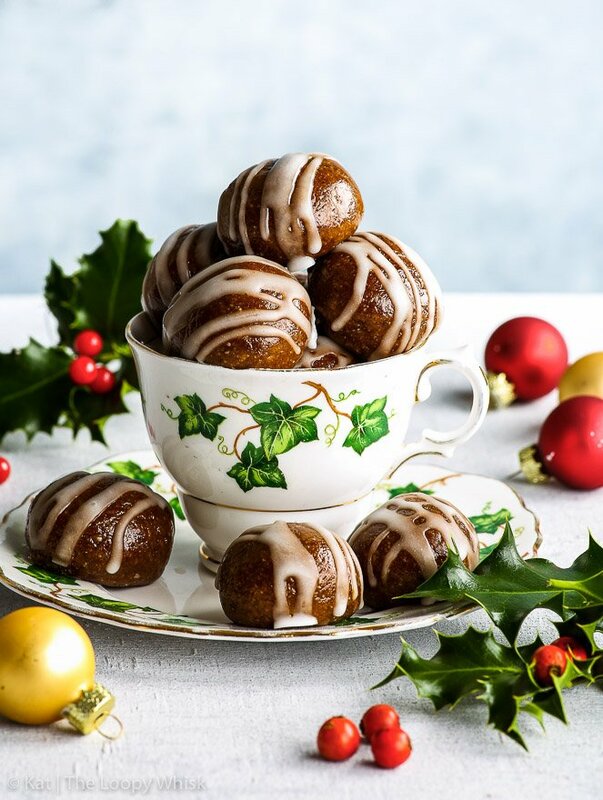 These healthy gingerbread cookie dough bites also happen to be incredibly easy and quick to make – all you need is a food processor and 15 minutes! 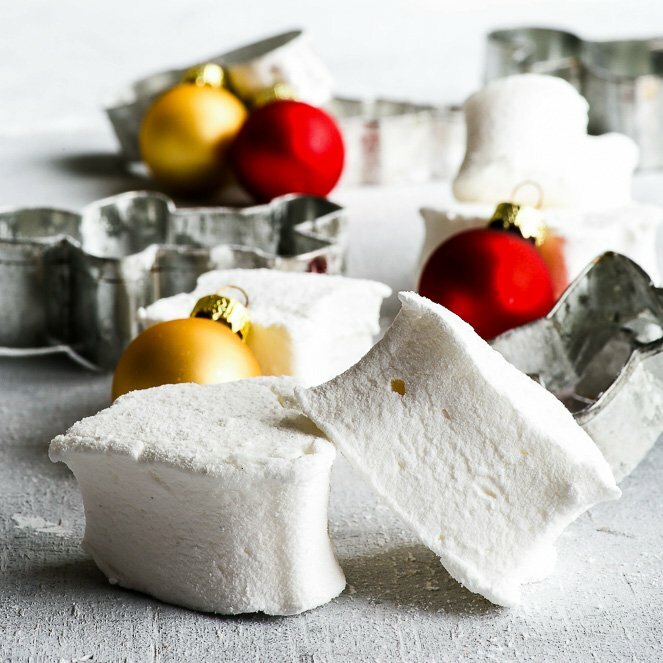 A completely no-fuss Christmas recipe… and isn’t that precisely what we need when the holidays roll out and all (merry) hell breaks loose? 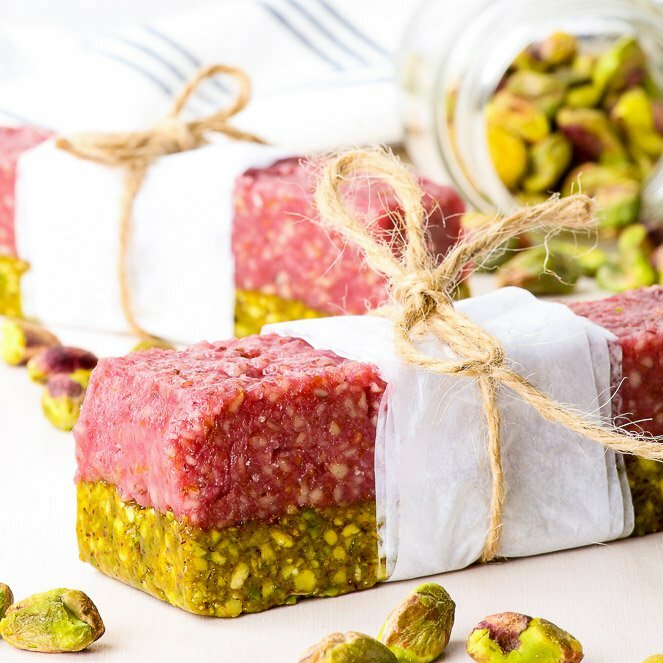 They are also the perfect dessert/snack/thingy for anyone with specific dietary requirements and restrictions. 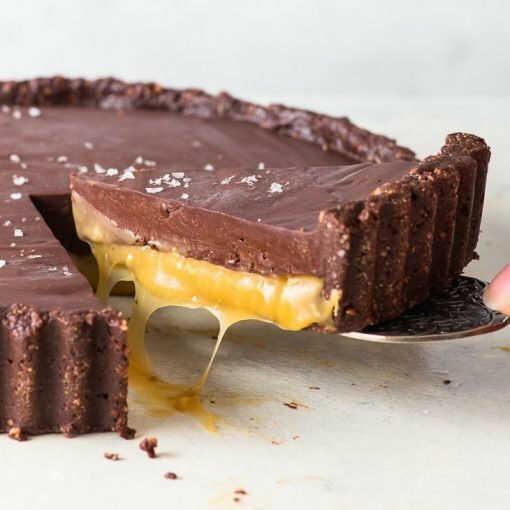 Being gluten, dairy, egg, peanut, soy and refined sugar free, as well as vegan and paleo might seem a bit much, but don’t worry. You won’t be missing out on flavour or texture with these beauties! 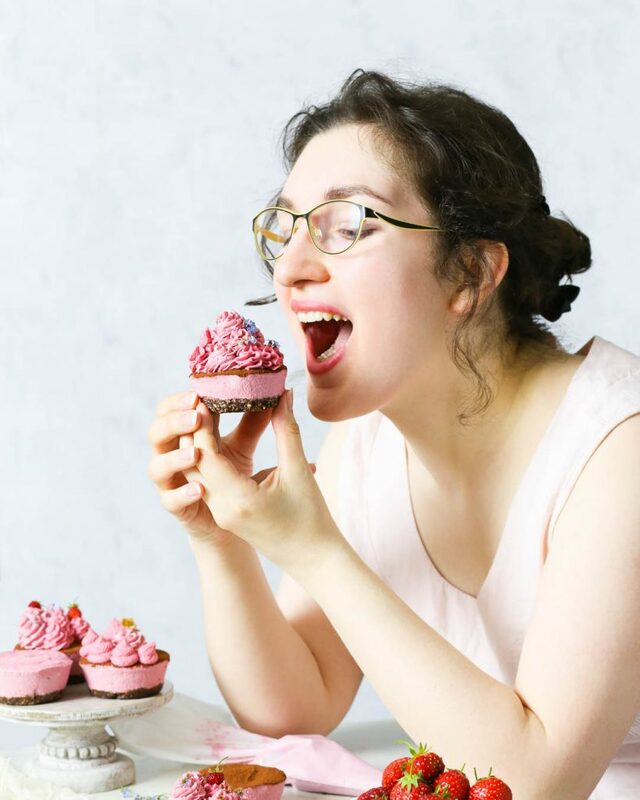 I’ve spent much of the last year trying to show all you lovely people out there that allergy friendly food can be delicious and mouthwatering and fuss-free – and thus, this recipe is quite fitting for the very 1st blogiversary. 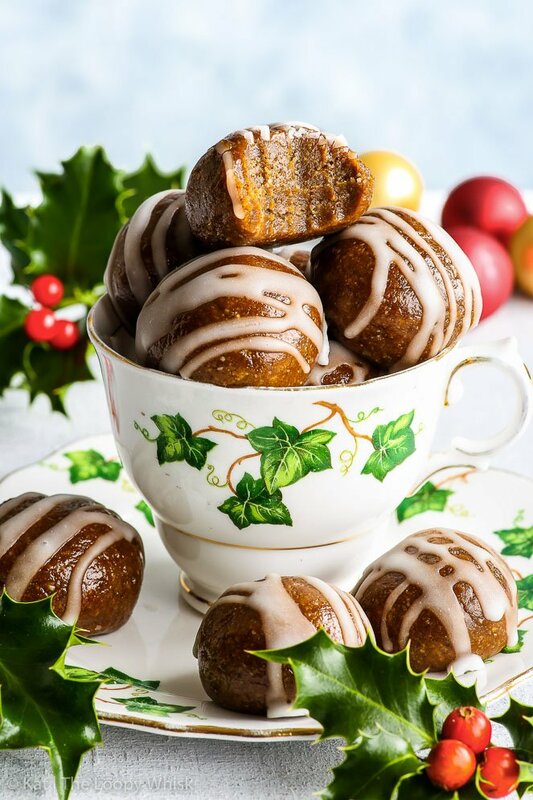 There will be many more recipes to come… but for now, let’s just enjoy the fact that Christmas is coming and that we have these healthy gingerbread cookie dough bites to tide us over until then. Add the ground almonds and ground walnuts to the food processor and blend for 5 - 7 minutes, until the mixture starts starts clumping together. At this point, it will be half-way to a nut butter, but we'll stop at this stage. Add the ground oats and blend for a further 1 - 2 minutes, until the oats are evenly distributed and absorbed by the nut mixture. In a small bowl, mix together the sweetener of choice, molasses, spices and salt. Add the sweet mixture to the food processor and blend until the "cookie dough" becomes smooth and clumps together into a single ball. Roll about 1 1/2 tbsp worth of the "cookie dough" into balls and put them onto a lined baking sheet. Refrigerate the balls while you prepare the icing of choice. 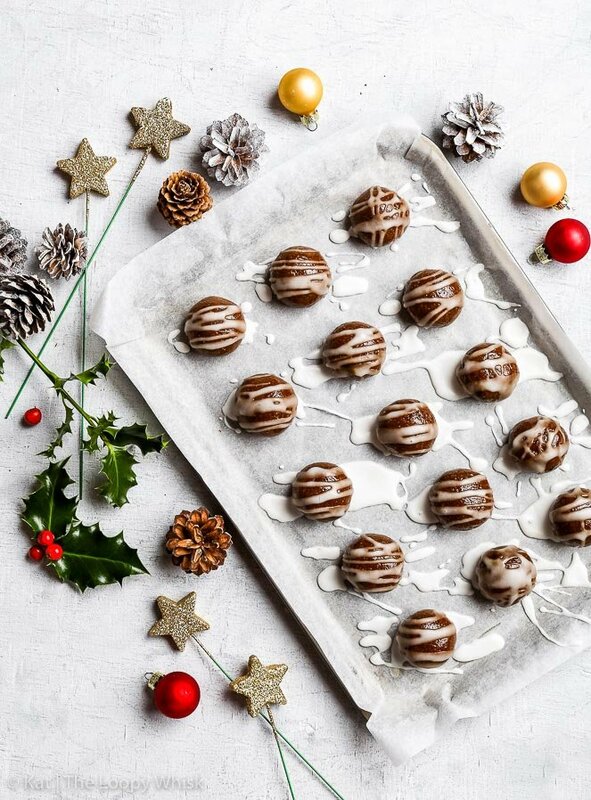 Drizzle the slightly chilled balls with the icing of choice, and tuck in! 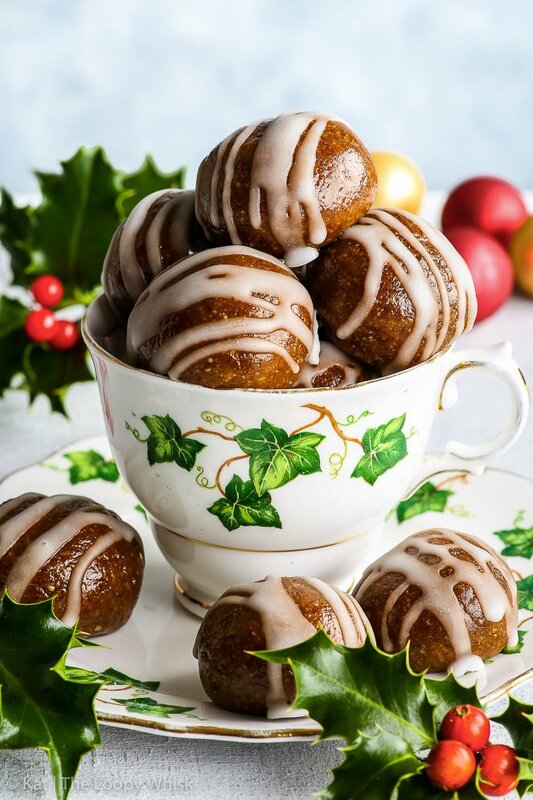 Looking for more Christmassy deliciousness? 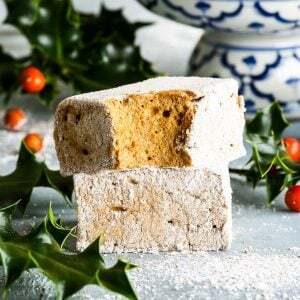 How about these amazing Easy Homemade Gingerbread Marshmallows? Sounds great! Unfortunately my brother has a severe allergy to nuts so I won’t be trying it out 🙁 I’m looking forward to more Christmas recipes though! !